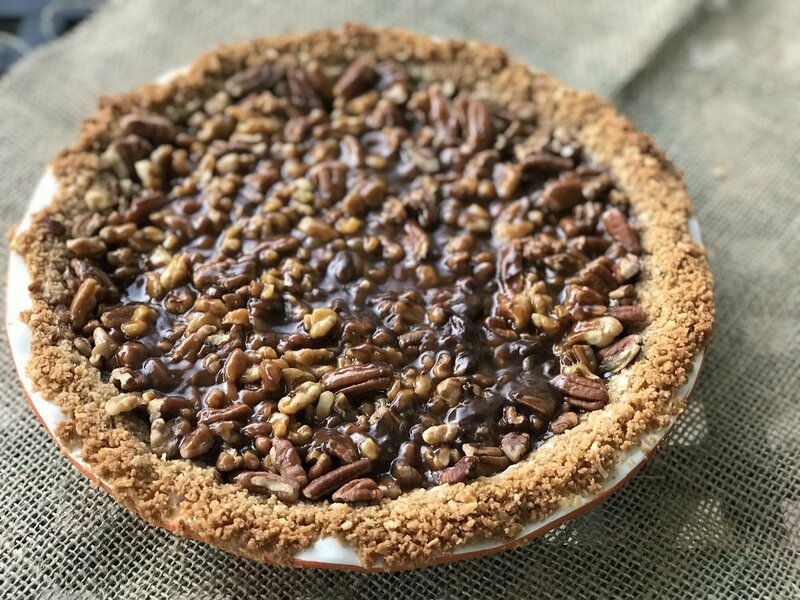 What I discovered was a loaded pie that sounds like it should be Way Too Extra, full of (deep breath) coconut and caramel and chocolate and pecans. But it works, and it's exactly what I was looking for. 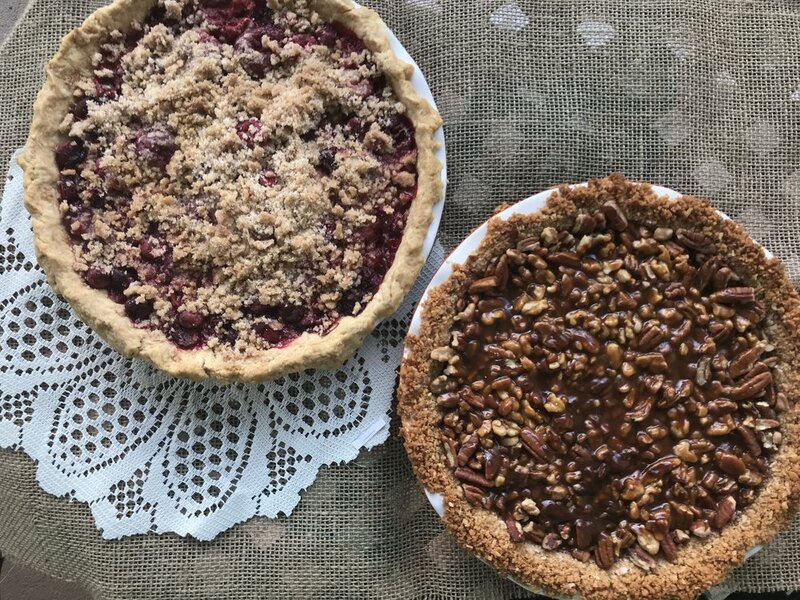 I tried really hard to make it with a traditional pie crust, because I am a true nut sometimes about only eating things I can make from scratch. Lots of recipes online called for a graham cracker crust with this kind of pie, and I resisted hard. I tried baking a regular pie crust, letting it cool, then filling it with chocolate and caramel and coconut, but the crust wasn't as sturdy as I wanted it to be. Plus, the grahams are a vessel for that coconut, which gives the pie an extra edge. I think this baby is best eaten cool or at room temperature, so it's still a little firm. Preheat oven to 350 degrees. Add graham crackers and coconut to a food processor and mix until you have crumbs. Don't have a processor? Place ingredients in a large zip-top bag and pound it with a rolling pin or other heavy object. Great way to get holiday aggression out! Add to a bowl, then add butter and mix well. Pour into a pie dish and form it into a crust that goes up the sides. Add chocolate chips to the crust, then add pecans and hazelnuts. Place in the refrigerator for 25 minutes so it can firm up. Meanwhile, you're going to make caramel. Don't be scared! Add sugar, corn syrup, and 1/4 cup water to a medium saucepan. Cook over medium-high heat, until bubbles form around the edges, then swirl the pan a bit. Bring mixture to a simmer and let it cook like that for about 5 to 7 minutes, or until it's a golden caramel color. You just need to watch it closely, but don't worry about stirring excessively. Just swirl the pan around a bit every so often. When it's golden, remove from the heat right away and add butter, that big pinch of salt and the heavy cream. Stir, then return to the heat and cook a bit more till it's thicker and darker, just another minute or so. It will smell amazing. Take pie out of fridge, place it on a baking sheet, and pour the hot caramel over the nuts. Place baking sheet in the oven and cook for 17 minutes. Let cool, and sprinkle a little coarse salt on top before serving. Recipe was adapted from Woman's Day. I liked this pie because it contained something a little different: strawberries. They help balance out the cranberries really nicely, so you're left with a perfect balance of tart and sweet. This was a surprising favorite with my family, who declared it the best pie out of the one above and my favorite apple. The best part? It's topped with a crumble, so you don't need to worry about a top crust. Sweet! Preheat oven to 350 degrees with rack in lowest position. Roll out pie crust on a lightly floured work surface to about 14 inches in diameter; place in a 9-inch pie plate. Crimp edge and remove any pie crust you don't need. 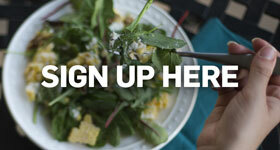 Click here for a way to use up those leftovers. Freeze for 15 minutes. Meanwhile, add cranberries, strawberries, sugar, cornstarch, and salt to a large bowl and mix well. Add to the frozen pie shell and return to freezer. Now, make the crumb topping. Combine flour, sugar, cinnamon, ginger, and salt in a medium bowl. Add butter and use your fingers to mix it into clumps. 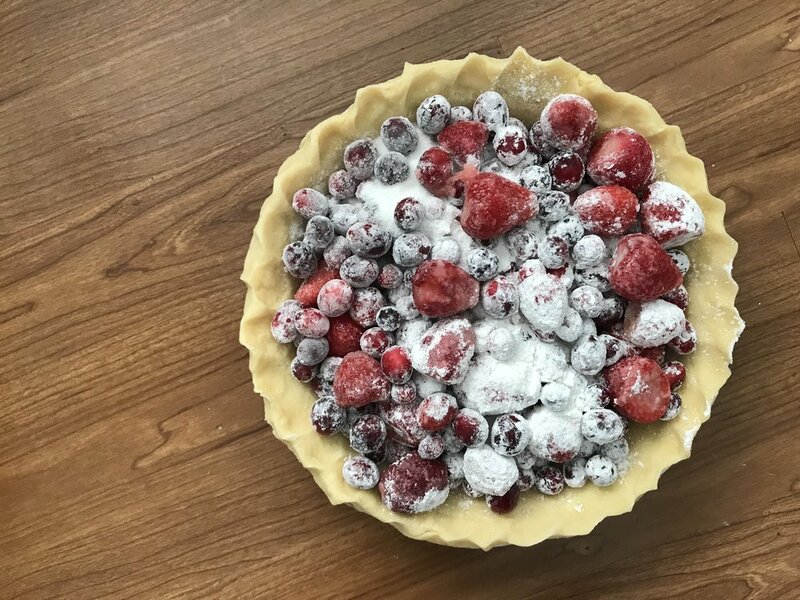 Remove pie from freezer, scatter crumb topping over fruit, and place pie on a rimmed baking sheet. Bake until crust and topping are golden brown and fruit is bubbling, about 85 minutes, but keep an eye on it.